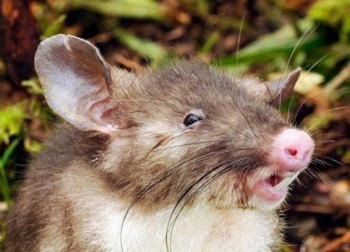 BATON ROUGE, Louisiana, October 11, 2015 (ENS) – A new rat with features never before seen by scientists has been discovered on the island of Sulawesi in Indonesia a two-day trek from the nearest village. The Hog-nosed rat, Hyorhinomys stuempkei, is so genetically different from other rats that its discoverers classified it as an entirely new genus and species. Jake Esselstyn, who serves as Museum of Natural Science Curator of Mammals at Louisiana State University and fellow scientists from Australia and Indonesia found the new rat on the second day of their field season in 2013. Esselstyn and Museum Victoria Senior Curator of Mammals Kevin Rowe set out in opposite directions from their field camp to check their traps. They each caught the same type of animal in their traps and knew at once that they were looking at something new. “We had never seen anything like this. It was obviously a new species. We came back to camp and were both surprised that the other one had it as well,” Esselstyn said. The animal is a shrew rat with a large, flat, pink nose and forward-facing nostrils for which they named it the Hog-nosed rat. It has extremely large ears, long hind legs, long white incisors and very long urogenital hairs. Long incisors are a trait of shrew rats, but the Hog-nosed rat has especially long incisors. It lacks the jaw muscle attachment point found in most mammals called the coronoid process on the dentary bone. “I don’t know of any other rodents that have lost the coronoid process completely,” Esselstyn said. The loss of the coronoid process indicates a weak jaw musculature and a diet that does not require vigorous chewing. The scientists found that the new species eats earthworms and beetle larvae. 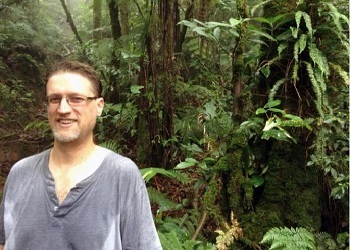 This new discovery is the third new genus described by this group of scientists since 2012. These scientists described the Few-toothed shrew rat, or Paucidentomys vermidax, in 2012. One of the reasons why scientists have thought that rodents have been evolutionarily successful is they have incisors for gnawing and molars for grinding. “However, this rat we described in 2012, doesn’t have molars, and they really can’t gnaw because of the shape of their incisors. Interestingly, this species has lost the two things that we think made rodents successful,” Esselstyn said. In 2014, the scientists described the Sulawesi water rat, Waiomys mamasae, which was known to villagers and their guides but not to the scientific community. Villagers use this animal as a talisman to protect their homes against fire. “Our guides didn’t tell us right away that they had caught it. We were asleep and they were up late at night discussing whether they should give it to us or keep it for themselves. We were very glad that they eventually decided to give it to us, because otherwise we would have left and never had known about this animal,” said Esselstyn. The three animals Esselstyn and his colleagues have described are new species within new genera, because the animals could not be placed within any existing group. After sequencing the DNA from the specimens, the scientists had the molecular evidence to confirm the species’ unique distinctions. The island of Sulawesi in Indonesia is geographically complex, mountainous and challenging to scientifically sample. Little research has been conducted on the island since the early 20th century. Esselstyn and his collaborators from Australia and Indonesia have been studying the region since 2010. “On Sulawesi, there is a lot of ground to cover and most of it hasn’t been surveyed before, especially at high elevation,” he said. Inundated by constant rain, the study site for the Hog-nosed rat discovery was a moss-covered habitat on Mt. Dako at about 1,600 meters elevation. This discovery is the cover story of the “Journal of Mammalogy” this month.